Dana develops shielding systems that meet the increasing demands of light-vehicle OEMs. Our skilled team can produce top-of-the-line products to cover any part with proven manufacturing expertise. 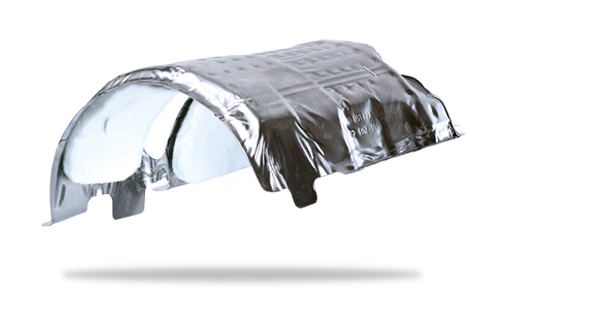 Victor Reinz® direct insulation heat shields are constructed with an aluminum or stainless-steel outer shell and insulated with a high-temperature fiber mat through fully automated forming processes. Popular on many diesel vehicles, our heat shields can fully envelop exhaust components as needed.